Next week’s East Russia Economic Forum in Vladivostok has the chance to bring the two Koreas closer together with Russia. 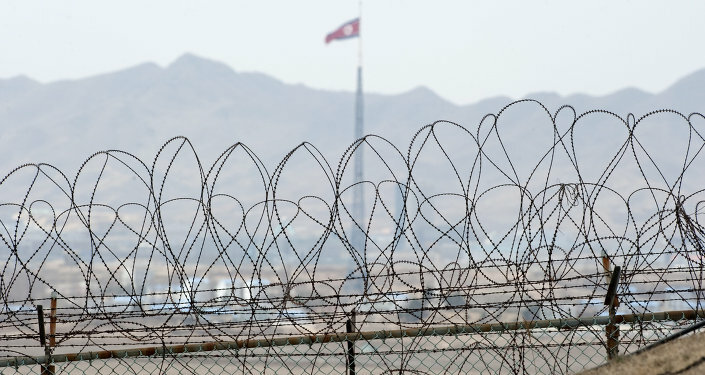 North and South Korea just barely walked back from the brink of war this week, with both deciding instead to enact concessions to the other and set dates for future talks. Although they have drastically different ideologies and perspectives on international relations, the one thing they do agree upon is the eventual reunification of the Korean Peninsula. Realistically speaking, it's probably a far-off goal, but baby steps in that direction can be seen by bilateral cooperation between the two in shared economic projects, such as the Kaesong industrial park. Joint projects between the Koreas is a trust-building and mutually beneficial mechanism that creates a platform for further cooperation, and it's in the world's interest to see the two neighbors get along well with one another. This is the contextual backdrop in which Russia invited North Korea to attend the East Russia Economic Forum in Vladivostok alongside the other Northeast Asian states, and with South Korea announcing its interest in a trilateral railway project and more goodwill projects with North Korea, it's very possible that a major deal might be made next week. South Korean President Park Geun-hye has spoken enthusiastically about a project that she terms the "Eurasia Initiative", which is her country's vision to establish an energy and logistics corridor through the North that would connect to China and Russia, with the trade component carrying over to the Trans-Siberian Railroad en route to Europe. Most of the rail infrastructure is already in place for this, and all that needs to happen is for North Korea to modernize its existing routes and to officially standardize the procedures for trilateral trade between it, South Korea, and China or Russia. Since the article is focusing on Moscow's ties to the peninsula, let's look at the prospects and benefits of this plan along that geopolitical trajectory. President Park has pressed the need for both Koreas to restore the Gyongwon Line between Seoul and Wonsan, a coastal North Korean city located in the central part of the country. From the opposite direction, Russia re-established the Khasan-Rason railroad in September 2013 to facilitate coal exports to its neighbor. Rason is connected to Wonsan through an already existing railroad, albeit one that's in need of maintenance and possible modernization investments. Should this stretch be upgraded (perhaps with the expertise of the Russian Railways company) and a trilateral agreement be reached, then South Korea's Eurasian Initiative would link up with Russia's Eurasian Land Bridge and inaugurate the Korean Corridor, which aside from bringing prosperity to the Russian Far East, could also bring development to the North Korean countryside. 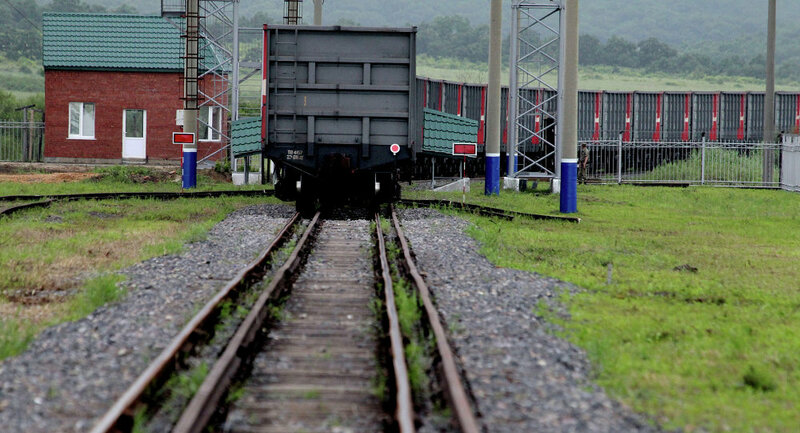 It could very well be that North Korea's government decides against allowing South Korean-Russian-European goods to offload along the railroad's various stops within its territory, but even still, it could procure a handsome transit fee (paid for in foreign currency, which the country needs) for allowing the said goods' transit. The Korean Corridor has more benefits that one might think at first glance. Besides expediting South Korean-European trade and decreasing shipment costs, it would also run through two special economic zones, one in each of the Russian and North Korean transit states. Incidentally, these both happen to be adjacent to one another, forming a sort of trans-border special economic area between Vladivostok and Rason. The profit potential that this engenders is particularly interesting when one considers the role that each of these two ports has in the regional economic dynamic. Vladivostok is Russia's most important location for developing the Far East, and the pro-business policies enacted by President Putin's free port decree for the city and its environs means that it'll become a central point for foreign investors trying to break into the resource-rich market there. It can thus be inferred that international capital will be used as a catalyst for creating additional logistic networks that branch out from the city and deeper into the Russian East, be it the Far East or Siberia. Once procured, these resources will have to be brought to Vladivostok before they could be shipped elsewhere, and it is precisely at this location that they could also be sent to South Korea via the Korean Corridor trilateral railway. In this manner, the bustling South Korean capital could directly and easily be supplied with Russia's natural resources, with scant effort on its end besides paying for their purchase. Rason presents a different opportunity for South Korea and Russia, one which is directed towards China. The port city has lately become China's preferred hub for its northeast revitalization efforts in the part of the country that some have labeled its ‘rust belt'. Located but a few miles from the Chinese border, it essentially functions as Beijing's ‘window to the Sea of Japan', and it makes it a lot more convenient for China to import and export products to and from its deindustrializing northeast. This is very important for South Korea ever since it signed its free trade agreement with China in June, because it would be most efficient for it to trade with that Chinese region directly via the Korean Corridor railroad as opposed to sending its goods aboard a roundabout ship first (as has been the case). Regarding Russia, its international partners that might be weary of investing in North Korea's Rason as their gateway to northeast China (or prohibited from doing so by North Korea itself) could instead offload or manufacture their goods in Vladivostok en route to that same destination. The Korean Corridor has the very likely prospect of turning into a Coal Corridor between Russia and South Korea. The US' Energy Information Agency identifies South Korea as being the world's fourth-largest importer of coal (accounting for 28% of its energy needs), while it measures Russia as has having the world's second-largest reserves and being the resource's third-largest exporter. Surprisingly, the same source only counts Russia as exporting 12% of its coal to South Korea, which receives an equal percentage of this as a total of its combined imports. Countries like Australia and Indonesia dominate the South Korean market instead, and this is plainly attributable to the easy maritime access they have in selling their coal there. Likewise, Russia doesn't enjoy such a geographic trade advantage, as its Siberian coal fields are cut off from the Korean peninsula and thus have to pay the double transport costs of both rail and ship in order to access it, making it not as competitive as it should be. But, if Russia's copious coal deposits were directly connected to South Korea via the Trans-Siberian-Korean Corridor rail project, then it would easily capture most of the peninsular state's market. It could even bring SCO-ally Mongolia into the mix as well, since the country needs to find an alternative buyer for the large amounts of coal that it had previously been selling to China. Beijing has lately been moving away from that energy source in favor of other ones, leaving Ulaanbaatar in danger of macroeconomic destabilization due to its risky dependence on only one primary buyer. Luckily, its pragmatic "Third Neighbor Policy" has borne the fruits of equally friendly relations with both Koreas, which would only be strengthened by providing the two of them with its excess coal, and also boosting Russia's reputation as the bridge for trans-Eurasian trade. Ultimately, however, it doesn't matter what form it eventually takes, but if the two Koreas clinch a deal with Russia in Vladivostok, it would show not only that Russia isn't isolated, but that its Pivot to Asia is also about diplomacy just as much as it is about economics.